I won’t pretend to even begin to answer these questions in a blog post, but to get a small clue, I will suggest that we might look to the development of the sciences. The history of science can be a lamentably vast and ungainly subject, but luckily for non-scientists like me, part of the brilliance of the Wenner collection is that it highlights many of the great minds that brought us to the point of modern physics. Let us use it as a point of investigation. Today, we might talk about computers and optical lasers1 as being important to current scientific developments, but back in the 18th century, electricity was a sizzling topic among scientists and visionaries. The Wenner collection contains a wide variety of monographs and articles from journals that represent some of the competing theories about what electricity is and how it functions from this time period. Of these, one volume particularly intrigued me with its fame and beauty: a 1774 edition of Benjamin Franklin’s Experiments and Observations on Electricity. This volume reflects a culmination of experiments and studies that Franklin originally published in the 1750s. But what was he up to when he wasn’t flying kites in lightening storms? So what other sounds might Franklin have been exposed to? Besides hymns, few references to specific lay music tunes survive to today, but fortunately we do have mention of several ballads that Franklin wrote of in a letter to his brother Peter, which appears in Experiments and Observations. The letter in itself is a fun read: see the full letter here. These examples from my foray into Benjamin Franklin's work barely skimmed the surface of its contents. Quite frankly, as a non-historian and non-expert, Experiments and Observations surprised me with its breadth of subject matter. 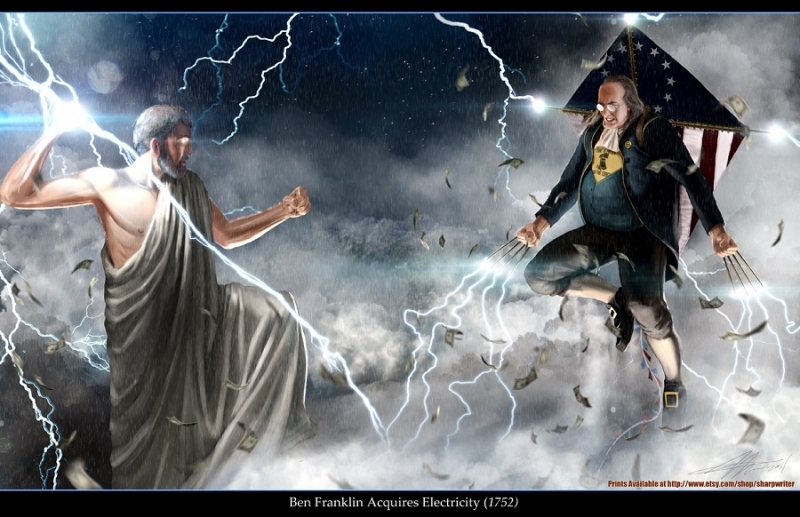 I originally thought I would have to do research in many outside resources to find out what else Benjamin Franklin might have had on his mind besides electricity, but the book itself proved unexpectedly rich. The epistolary format of the book gave me an impression of Franklin’s personality through his letters addressed to a wide range of people, including fellow scientists (many of whom are represented in the Wenner collection), a reverend, and his brother. 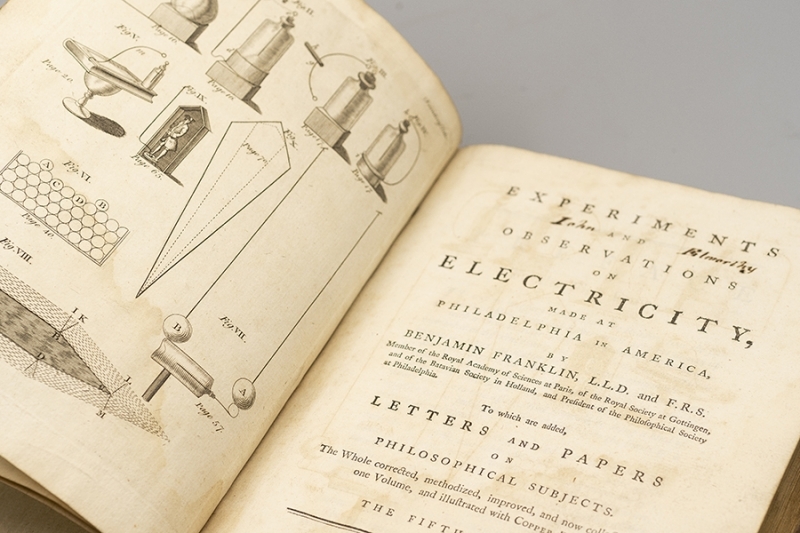 Experiments and Observations on Electricity is a wonderful example of what a rare book from the Wenner Collection can show us about what was happening in the world of 18th century innovation and discovery in and around science. We look forward to running across more fascinating bits from history as we continue our deep dive into the Collection. Stay tuned for more updates and sneak peaks! Citing within Wikipedia article: Chase, Gilbert (2000). America's Music: From the Pilgrims to the Present. University of Illinois Press. ISBN 0-252-00454-X.